Gilbert (Gib) Beatson was born in Winnipeg, Manitoba in 1927. Beatson graduated from the University of Manitoba with a Bachelor’s degree in architecture in 1950; he subsequently engaged in graduate study at the Sorbonne, in Paris, completed in 1952. Returning to Winnipeg, Beatson was hired by Lloyd Finch Architects. After three years working with Finch, the architect left to become Chief Architect for Canada’s Western Region for the Canadian Pacific Railway, a position held for one year. 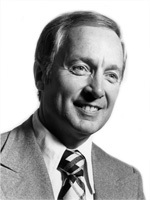 In 1957 Beatson founded his own firm, under the name of Gilbert R. Beatson Architect, in Calgary. Over time, this office grew, becoming by 1971 the firm of Beatson Finlayson and Partners. Beatson later served as the president of the Alberta Association of Architects.